A whimsy mix of old and new. Old-world charm meets modern-day glam in neighborhood lifestyle hotel Pentahotel Hong Kong Kowloon. The first international brand hotel in the Kai Tak area of Kowloon East was designed as a hub for the local community and a home base for independent-minded travelers. 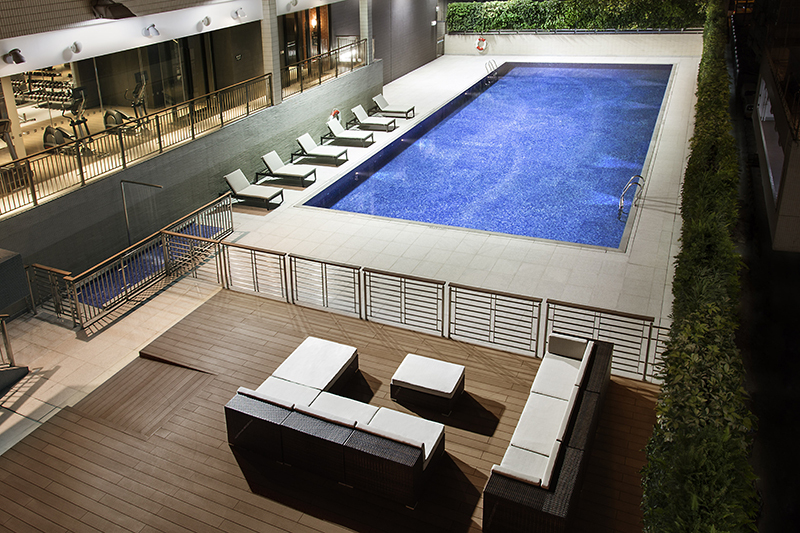 In a world of bland hotel experiences, this hidden gem offers a vibrant base for those on short getaways in Hong Kong. 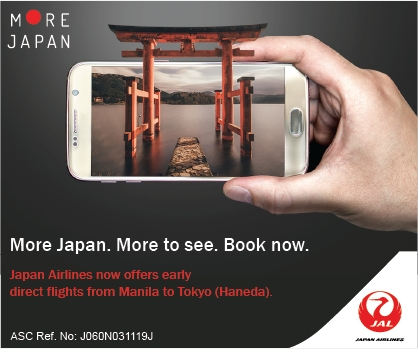 Here are five reasons you might want to check-in. 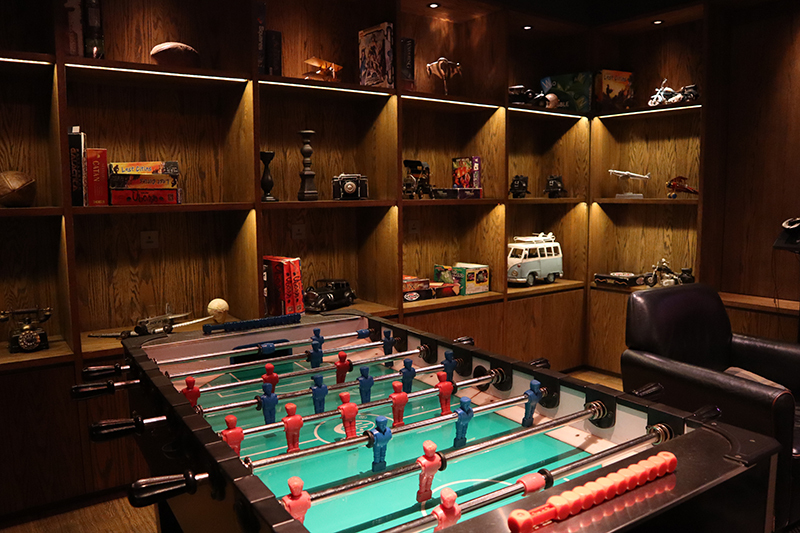 With the hotel’s unique design and details inspired by local culture, Pentahotel Kowloon offers a lot of quirky, photogenic spots for shutterbugs and digital nomads. As soon as you step into the hotel, it feels like a nostalgic step back in time. The semi-secluded lobby entrance is reminiscent of an old-school cinema featuring the latest action flick or blockbuster. 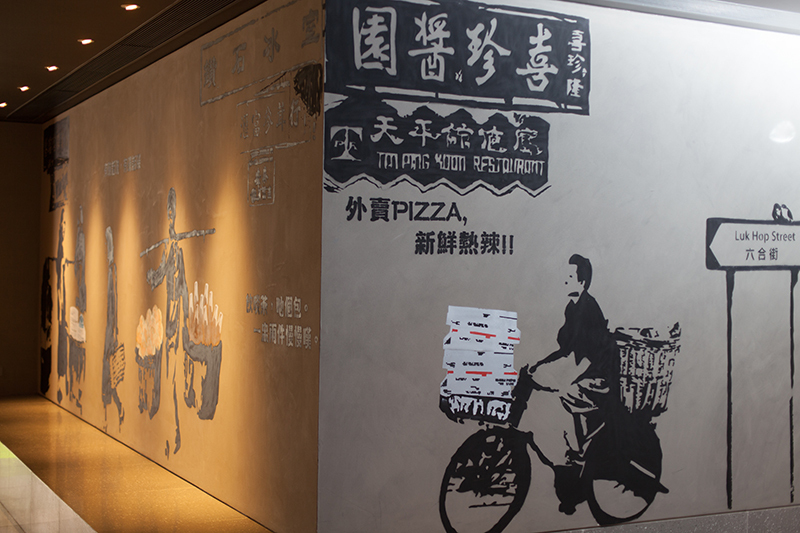 Street-style murals depicting iconic Hong Kong culture adorn the concrete walls at the ground floor. The lobby and reception are decorated in contemporary rustic decor, aged brick details and dim lighting. Techie travelers will appreciate the complimentary hotel-wide WiFi, in-room smartphone docking station, smartphone charging service and digital check-in and check-out. 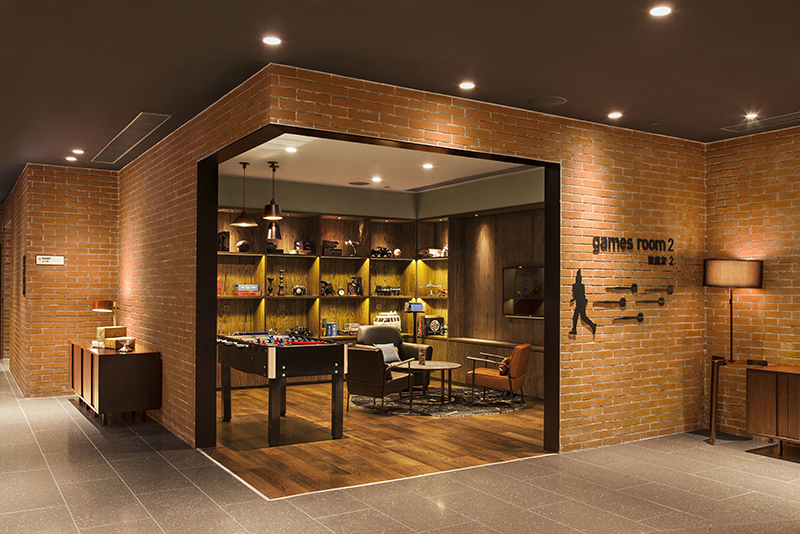 If you’re traveling with friends or family, you can have fun just hanging out in the two common game rooms playing foosball, game consoles, board games or listen to top-of-the-chart hit songs at the music stations. If you’re feeling like a workout, they have a gym on the third floor which is open 24 hours. Or you could just relax and take a dip with friends at the seasonal outdoor pool (closed in winter months) which is open from 7:30 am to 6:00 pm. The rooms are practical, New York loft-style guestrooms featuring open closets with prints of bustling Hong Kong city scenes and bathrooms of dark tile and forest shower heads. Every room has been efficiently designed with free WiFi, smartphone docking, 37-inch LED TV, cable TV channels, electronic safe, individually controlled air-conditioning, coffee and tea-making facilities, hairdryer, fridge, bathroom amenities, rain shower head and extra bed at charge. There are several room types to choose from, including the Standard Room King, Standard Room Twin, Plus Room King, Plus Room Twin, and Penta PlayerPad Suite. All rooms are 22 sqm except for the PlayerPad Suite which are double the size at 44 sqm. The special Penta PlayerPad suites even come equipped with their very own PlayStation 4 in the rooms! Perfect for just staying in after a long day of exploring Hong Kong’s busy streets. You don’t have to stray far to enjoy a great dining experience. In keeping with the hotel’s fun neighborhood vibe, Pentahotel’s in-house dining dubbed Eatstreet takes inspiration from Hong Kong’s rich street food culture. The 230-seat all-day dining establishment offers authentic Hong Kong delicacies, traditional Chinese treats and other local favorites served in a stylish surroundings. Food stalls are adorned with funky street-style light box reminiscent of local food stands and open-air markets. 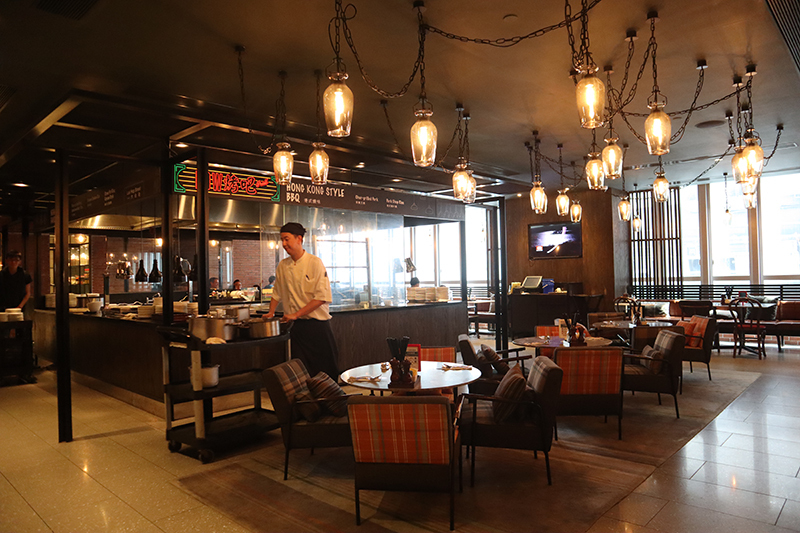 The hotel’s buffet’s food stations include grill, wok kitchen, deli, steam and noodle corners which serve Hong Kong favorites like char-grilled pork, pan-fried vegetable dumplings, fried egg rice and Hainan chicken rice, alongside international offerings. Another unique dining spot right in the hotel is the cozy Pizza Bar which offers Italian-style and special pizzas topped with local flavors including char-grilled pork and fried dace (a type of fish from the Pearl River in China), as well as pasta and sandwiches. 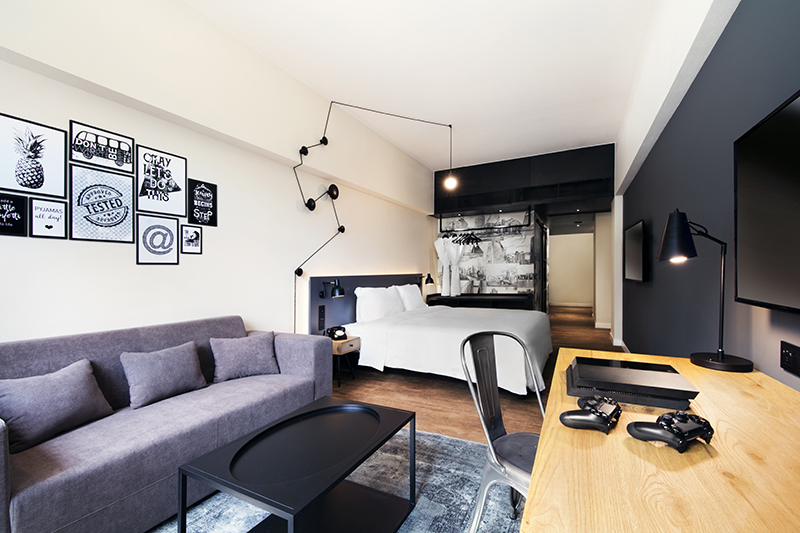 Situated in an industrial neighborhood surrounded by factories, Pentahotel Hong Kong Kowloon is located in a fast-emerging neighborhood close to popular Asian ethnic eateries of Kowloon City. With developments still ongoing, including new train stations being built nearby, the Kai Tak area is not yet as crowded as other tourist hubs in Hong Kong. Guests can enjoy more a peaceful and relaxing retreat and unobstructed views of the skyline from some rooms. There are several sites of interest just walking distance or in the vicinity of the hotel, including Choi Hung Estates (known for its rainbow-hued walls), Wong Tai Sin Temple, Nan Lian Garden, Chi Lin Nunnery as well as the historic Kowloon Walled City Park, to name a few. Here’s a guide to more fun things to do in Hong Kong. 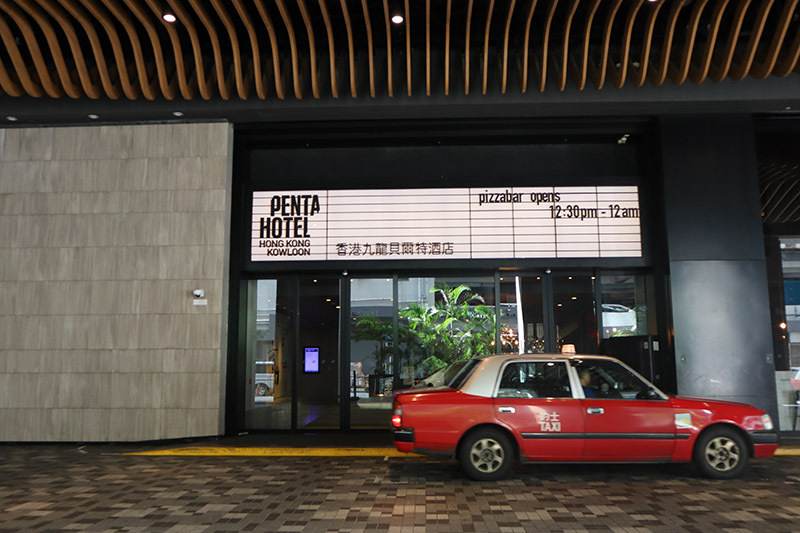 Pentahotel Hong Kong, Kowloon is located on 19 Luk Hop Street, San Po Kong, Kowloon, Hong Kong. 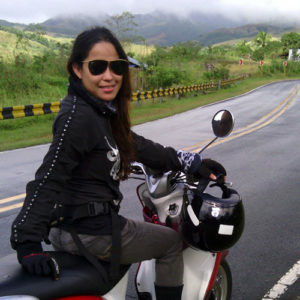 For a full hotel review and feature, check out this link.